I suppose you guys don’t know why I’m *allegedly* freaking out, hm? Well. Just over a month ago, sweet, innocent me picked up a little book. I wanted to read it quickly (for some reason or other, probably because I’m super behind on my Goodreads challenge), and in any case, once I started it, I literally could not put it down. I started it and it just grabbed me and LITERALLY pulled on my heartstrings. MY HEART HAS A HUGE GAPING HOLE BECAUSE OF THIS BOOK. So of course, this affected me in a huge way (as in, I cried, and my heart just HURT. For a REALLY LONG TIME. ), and I decided to hold off on my review for just a little while, in the hopes that I would be more collected later on, and therefore able to make a comprehensible review. Aaaaand here we are a month later, and I still am not able to talk about this book without feeling ALL THE FREAKING FEELS. So, friends, if you’re smart (which I know most- okay, kidding- all of you are), you’ll have realized by now that THIS ENTIRE POST IS GOING TO BE FILLED WITH GIFS BECAUSE THEY HELP ME. SOMEWHAT. OKAY, NOT REALLY, BUT THEY GET MY POINT ACROSS, SO I’M KEEPING THEM. This little- WEENSY LITTLE- book is 213 pages. 213 pages. And yet I still feel all the feels (as I’m sure you know by now). It has wrecked me, changed the way I thought about books, about life, about my life in particular, and about love (not to mention so many other things). And that book is…. 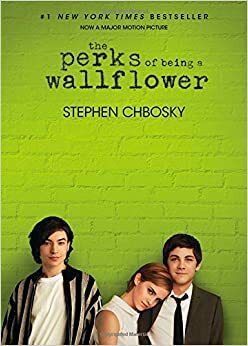 The Perks of Being a Wallflower by Stephen Chbosky. I had no idea how much this book was going to affect me… And look where that landed me. A BLUBBERING MESS. I never posted a review for The Perks of Being a Wallflower, because I was JUST TOO EMOTIONAL. IT WAS SO INCREDIBLY AMAZING AND I WANTED TO JUST GO SIT IN A CORNER AND CRY FOR A GOOD TEN HOURS AND THEN READ IT AGAIN. OKAY, I’M COPYING THIS AND USING IT IN MY REVIEW. And boom, A REVIEW IS BORN. Really… This might be my favorite book. Ever. As in all-time. I didn’t even know that was possible. More than anything, I just related to Charlie. He saw everything, often more than he was supposed to, and he didn’t always know what to do with what he saw. There weren’t too many people he could tell. He just kind of blended in, and people didn’t always see him as just a person. I’d like to say that there was a theme or lesson to the book. But there wasn’t… Because there was so many. I could read this book a thousand times, and somehow I think I would still find deep meaning to it. I’ll definitely be rereading this book and hopefully buying a copy at some point. It meant more to me than I could ever say. I definitely recommend this book to everyone! (Not to mention the poem…) I almost cried at so many points of this story, and I stayed up way too late finishing it. Unlike Charlie, my statement still holds true. This book is, quite possibly, my favorite book. As in, ever. I know for a fact that Nikki (ya know, my cousin, best friend ever, and co-blogger of this very blog- in case you’re new) has two all-time favorite books: The Help and The Book Thief. 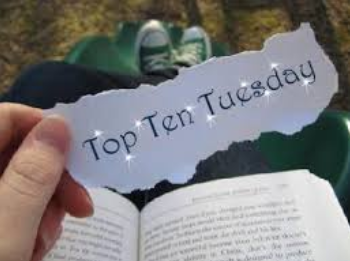 Now, I haven’t read The Help yet (although I absolutely plan to), but I happen to know that The Book Thief is an absolutely incredible, amazing book, and I do place it among my top favorites. With approximately 10-20 other books. So before reading this book, I respected Nikki’s choices of favorite books, but I didn’t understand how she could just DECIDE that! And now I know. When it’s your all-time favorite book, you no longer have any questions. You cannot focus on any other books. You cannot stop thinking about your favorite book. You want to reread it immediately thereafter. Every time someone brings it up, all the feels come rushing back and YOU JUST WANT TO REREAD IT AGAIN AND AGAIN FOREVER AND EVER UNTIL YOU DIE. IF I WAS TRAPPED ON A DESERTED ISLAND AND COULD ONLY HAVE ONE BOOK (Heaven forbid) THIS WOULD BE THAT BOOK. And THAT. THAT is your all-time favorite book. You all saw my previous quotes (which of course, are amazing), but after visiting Michelle and Cait’s reviews (which lived up to the standard, and made me want to reread it. AGAIN. ), I realized AGAIN how incredibly inaccurate those meager quotes are, and therefore, you should all go check out their reviews as well! I will share one more with you- the page featured in the photo above, and the moment when I truly knew I was head-over-heels into this book and there really was no going back. I ALMOST FORGOT! I’m not sure if you guys could tell, but THIS IS A FIVE STAR BOOK. OUT OF TEN I WOULD GIVE IT 100. PERIOD END OF STORY. HOLY COW THIS POST IS GOING TO BE LOOOOOOONG! I PULLED A NIKKI. BUT EVERY WORD WAS NECESSARY. OKAY, I’M GOING TO GO NOW. And one small warning- Be prepared to cry when you read this poem. Seriously, I will doubt your sanity if tears are not at least prickling your eyes by the end. (And there is one cuss word, although if you guys ever plan on reading this book… That’s the least of your worries. Just saying.) Toodles! ‹ PreviousI FOUND A NEW MEME AND IT IS SO AMAZING!!! Next ›Books, results, and announcements! What could be better? I love this review it had so much heart 🙂 I also love the book on of the best books EVER!!! Thank you so much! WASN’T IT THOUGH. SOB. AW, I love this book too. When I read it, I just thought that it was so REAL and honest, and I really liked that. In a way, I related to Charlie’s personality because in high school, I was the quiet one who didn’t know what to say and found myself in uncomfortable situations. Have you seen the movie? I REALLY love the movie – they did a really good job with adapting it! YES ISN’T IT THOUGH I JUST CAN’T EVEN EXPLAIN HOW AMAZING IT IS I JUST NEED EVERYONE IN THE ENTIRE WORLD TO READ IT. THANK YOU THE GIFS WERE ENTIRELY NECESSARY. I KNOW I WANT TO REREAD IT TOOOOOOOOO AND BUY MY OWN COPY AND NEVER COME OUT OF MY BEDROOM AND REREAD IT FOR EVER AND EVER. YAYYYYY!!! Hahahaha I’m so glad to hear it! Hehe so do you! 😉 Thanks for the lovely comment! Ahh this is like one of my favorite books ever. It has so many feels, destroys me every time I read it. YASSSSS. I’m so glad to hear that! (Okay, I feel like a bad person for saying happy things about someone crying) I MUST REREAD IT. AND SOON. I MUST. I’M SO PUMPED TO READ THIS NOW. I’ll tweet you on the 14th EVERY SECOND of my reaction (yes, I’m annoying like that grins). Seriously though, I’m super stoked you rate this book so highly, and I’m only hoping I feel the same when I’ve read it! Also, the Taylor Swift gif at the start WAS INCREDIBLE. YES YES YES THATS WHAT I WANT DONT YOU DARE GIVE ME ANYTHING LESS I WANT TO WATCH YOU SUFFER.